Monroe County is getting more inpatient detox beds to help people addicted to drugs begin recovery. WXXI’s Brett Dahlberg has this report from a ribbon cutting at Helio Health. Officials from state and local government and drug treatment agencies announced the imminent opening of a new wing of addiction treatment beds at Helio Health on Wednesday. The new beds are for inpatient drug detox. 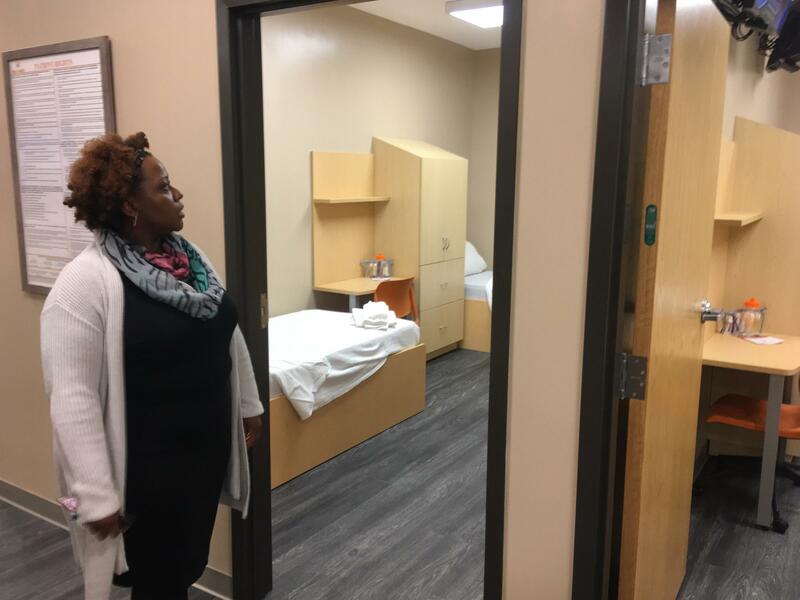 They open almost a year after a WXXI report found that a shortage of inpatient detox beds locally was complicating the fight against a surge in opioid-overdose deaths. Helio Health staff survey the new inpatient detox beds opening in the organization's University Avenue building. Now, Helio Health is opening 15 new beds, in addition to the 25 it already runs. These are the only inpatient detox beds in Monroe County. Still, even leaders at Helio said it’s unclear whether the new total of 40 beds will be enough to meet the local need. “It’s kind of one of those things where, until you build the capacity and see how it affects the community, it’s hard to tell sometimes,” said Jeremy Klemanski, the organization’s president and CEO. And both Khashper and Helio staff emphasized that the Rochester area is rich in recovery resources beyond inpatient detox beds, which they say are only one element of a broad spectrum of treatment options. Most of the new inpatient detox beds opening at Helio Health are single-occupancy, containing a bed, dresser, television, and desk and chair. "We want to make it feel homey," says Sabrina Howland, who runs inpatient services here. Sabrina Howland, Helio’s director of inpatient services in Rochester, echoed comments that Monroe County Public Health Commissioner Michael Mendoza made in October, saying that the first stop for people seeking a recovery program should not be an inpatient bed, but rather an evaluation to determine the best course of treatment. 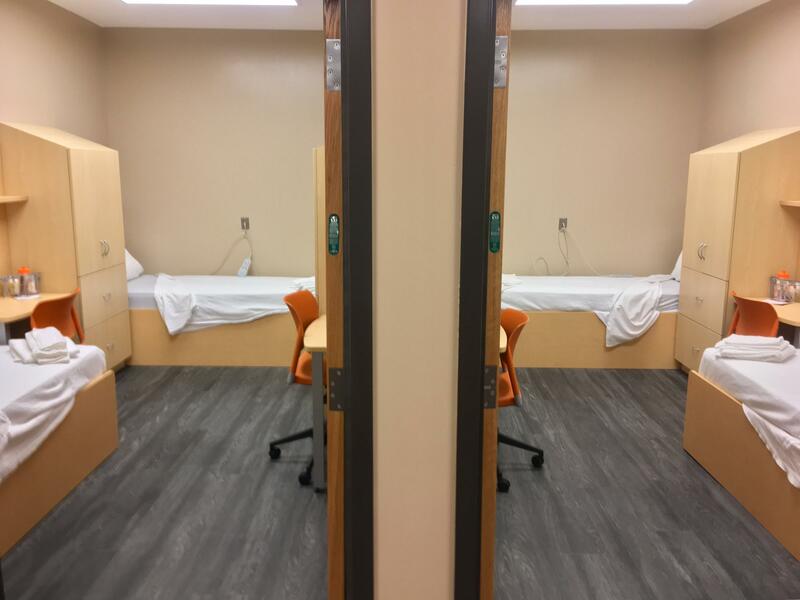 But the new wing of inpatient detox beds is a step in the right direction to help meet the needs of people who have a short window of receptiveness to treatment, Khashper and Klemanski said. “And with the presence of fentanyl today, sometimes every use (of drugs) brings a risk of death,” said Klemanski. A New York state health department program that enables hospitals to surpass the usual limit on the number of opioid-addicted patients who can receive in-hospital detox services has been extended another year, but Monroe County hospitals are still not participating. Helio Health, which runs all 25 of the inpatient detox beds in Monroe County, stopped accepting appointments and moved to a walk-in-only system in August. The change, which has not been reported until now, means there is no longer a waitlist to access inpatient detox, but it also means people might have to arrive early to score a bed at the clinic on University Avenue. Faced with a distinct shortage of opioid detox beds locally, the town of Gates is partnering with three addiction treatment centers in Pennsylvania, town officials said Thursday. Gates to Recovery, the drop-in center for people seeking treatment for addiction in the town, announced what it called “a collaborative project” that will allow Monroe County residents to be treated across state lines. The Monroe County Jail is adding a new type of drug and alcohol treatment program. The downtown Rochester jail is set to offer medication-assisted treatment starting Tuesday. It’s a departure from the usual approach at jails, said Tisha Smith, who directs the inmate drug and alcohol programs for the sheriff’s office.